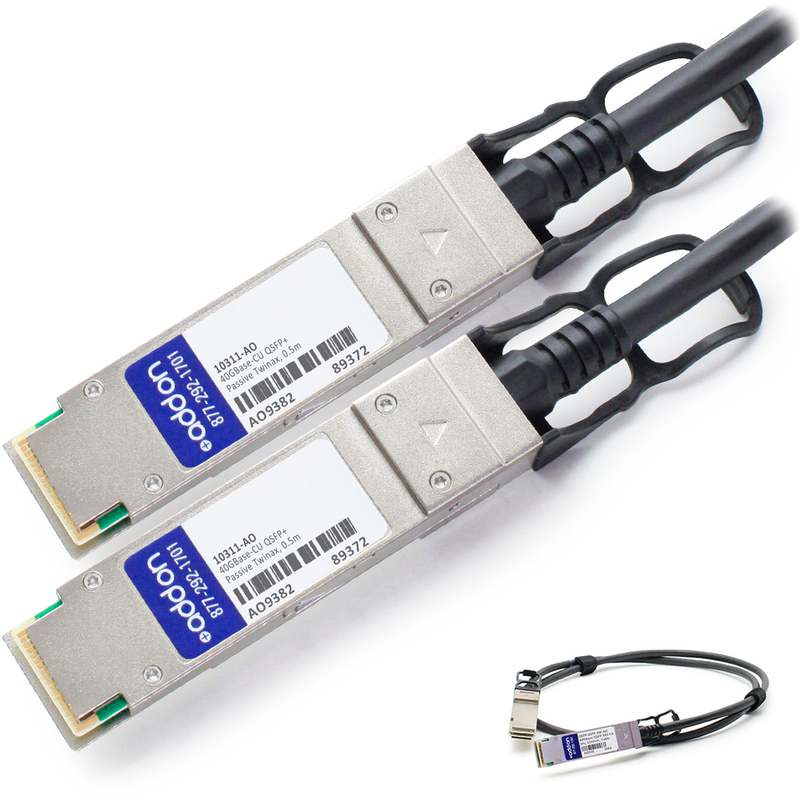 This is an Extreme Networks® 10311 compatible 40GBase-CU QSFP+ to QSFP+ direct attach cable that operates over passive copper with a maximum reach of 50cm (1.6ft). It has been programmed, uniquely serialized, and data-traffic and application tested to ensure it is 100% compliant and functional. This direct attach cable is TAA (Trade Agreements Act) compliant, and is built to comply with MSA (Multi-Source Agreement) standards. We stand behind the quality of our products and proudly offer a limited lifetime warranty. Product Shipping Dimension(HxWxD): 1.5 in. x 9 in. x 12 in.